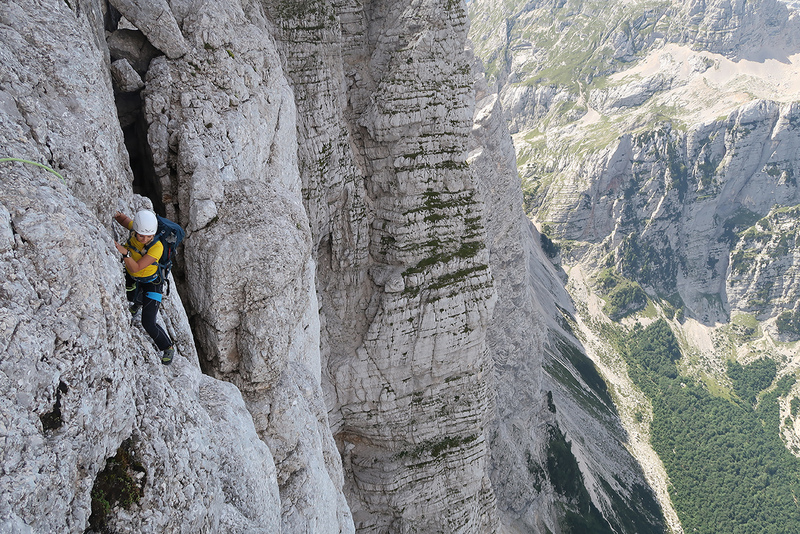 Get into the mightiest, highest and broadest wall – the Triglav North Face. It is so powerful that we simply call it the Wall with a capital letter. More than 140 routes run across the Wall and our professional mountain guides, are ready to reveal the kingdom of the Wall and the puzzles of its classic climbing routes to you. From late June till the end of September. This face of Mt Triglav is one of the biggest walls of all the Eastern Alps. Its height is 1.300 meters with almost 4.000 meters wide. That’s why slovenian people simply call Triglav north wall “The Wall and they have their reasons! 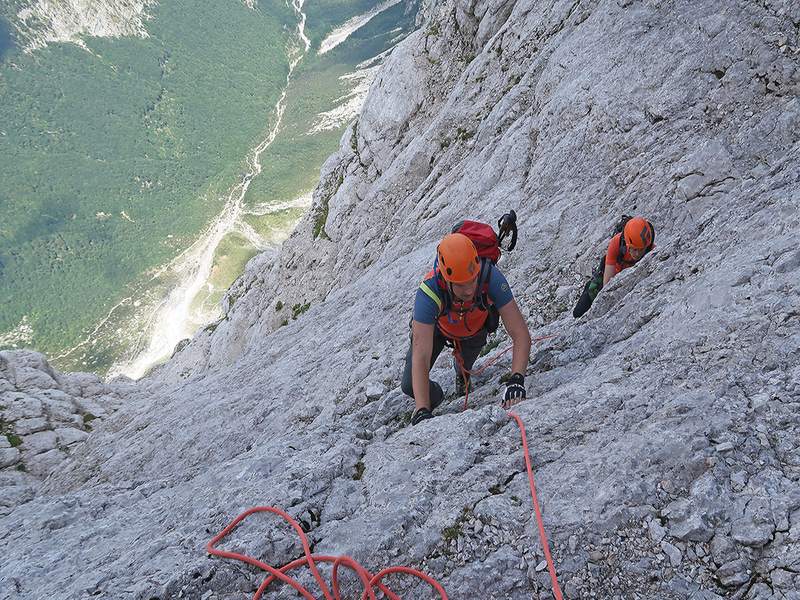 We can climb the Mt Triglav North face by one of its several ascent routes. Climbing lasts one day. Two days with climb on the summit. Julian Alps – Triglav North wall. Appropriate mountain clothes and shoes, helmet, climbing harness, backpack, 2x locking carabiner, sling 120cm, other equipment suggested by guide. In price is included: rent equipment, transfers from accomodation and back (Kranjska Gora, Mojstrana, Bled), guiding and costs for guide. You need aprox. 50€ with you for sleeping, food and drink in the hut per day. Čopov steber route is only in a package together with one recognisable route (route Po zajedi in Nad Šitom Glavi).